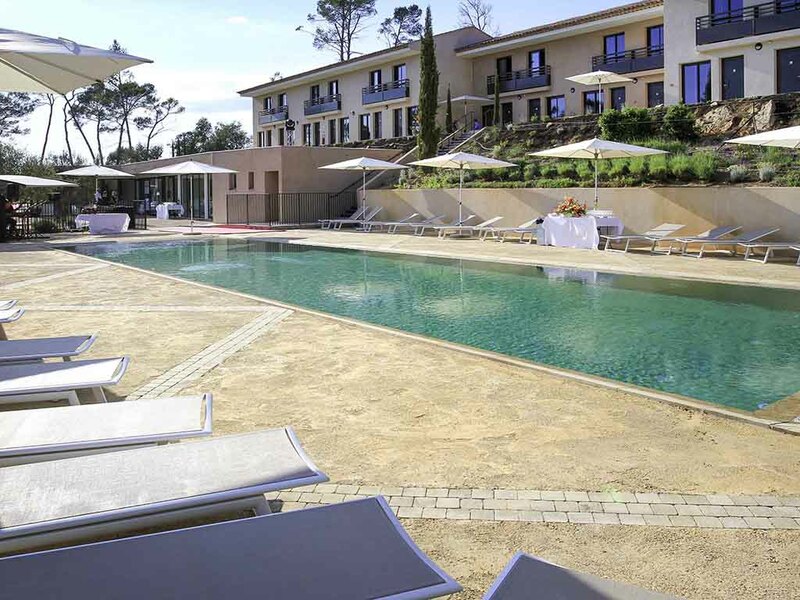 Located in the heart of the Provence Verte, discover the Thoronet Abbey and the St Maximin Basilica this Mercure hotel is the address to note for making the most of the Var region during a professional stay or amongst friends. Wellness area including a fitness room, spa and a wide selection of treatments. Open all year round, the chef presents a menu to suit all occasions, from the golfer seeking a quick break to business people. Room with contemporary architectural design, the glass roof is illuminated in winter and opens on warm, sunny days onto a large panoramic terrace. Cuisine inspired by fresh Mediterranean products and recipes. Selection of regional wines to discover. Indoors, in a modern setting with a lounge feel, the bar offers a varied menu of hot and cold drinks and also has a large terrace overlooking the golf course.